Quick and easy! These quesadillas can be on the table in 30 minutes! Heat the oil in a large non-stick frying pan over a medium heat. Add the courgette, onion, corn and salt and cook for 4-5 minutes or until the vegetables are softened and tender. Divide the vegetables between 3 of the tortillas. Then top with the chillies, sprinkles with the cheese and cover with the remaining tortillas. 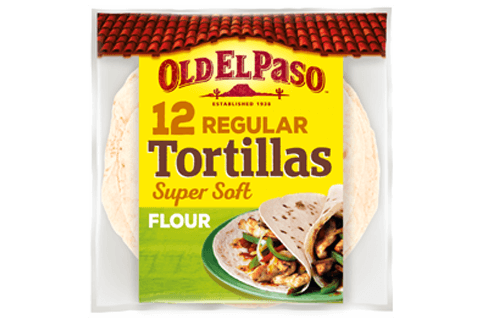 Cook the tortillas for 2 minutes each side, in same large non-stick frying pan. 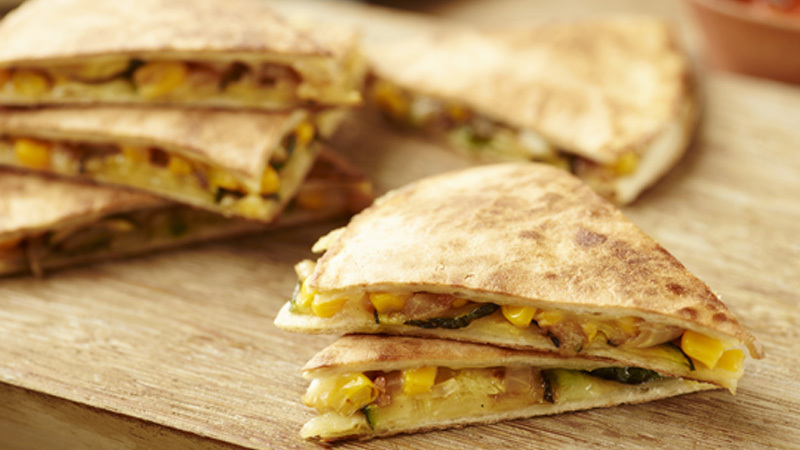 Cut each quesadilla into six wedges and serve with the salsa and coriander leaves. Calabacita is a Mexican vegetable mixture of sweetcorn, courgette, onion and chillies. However you can add any vegetables you have in the fridge to make them. Just be careful not to overfill or you may have trouble turning them over! Keep cooked quesadillas warm in a low oven while cooking the remaining ones.